The Proficiency Modules cover both theory and practical training in specific subjects, and are aimed at those needing to demonstrate a level of proficiency to carry out the area of work covered by the Module. These examinations are usually taken at the end of training courses run by independent Course Providers who are registered with BOHS (The Chartered Society for Worker Health Protection). In most cases, the examination includes a written paper and a practical assessment and candidates must pass both elements, and for some of the Modules, the qualification is not complete without a further supporting submission of a report. Diamond is a registered course provider with a very successful track record in delivering Proficiency Module training both in the public arena and in-house for companies. Show awareness of the principles of good control practice and the role of local exhaust ventilation (LEV). 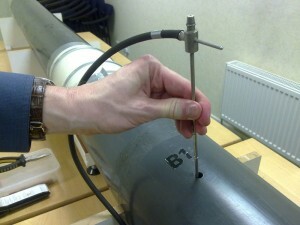 Carry out the testing of previously-appraised LEV systems used to control exposure to substances hazardous to health. Produce suitable records of the results of examination and testing as required by regulatory guidance and codes. Understand and be able to describe the principles and the main elements of an LEV system. To judge whether an LEV system is capable of adequate control of the identified hazards. Carry out the necessary measurements safely to determine if an LEV system is effective and operating to the design specification. Where a system has not been properly commissioned establish whether the system works effectively, controls exposure and also determine the operating criteria for continued performance. Provide suitable advice to remedy any faults discovered. There is a written examination along with a practical examination, as well as a subsequent practical report submission requirement on this Module. All elements need to be completed successfully before the P601 qualification can be awarded. Diamond Environmental Ltd run these courses in the UK over a 4 day period both as in-house and public events. View our diary of upcoming course dates.